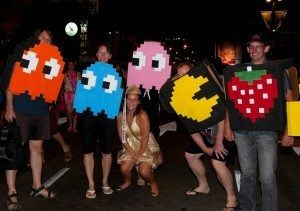 Group Halloween Costumes: Hundreds Of Group Costume Ideas To Buy Or Make Yourself! When I was a kid, my friends and I used to like to dress up as a group for Halloween. We’d pick a theme such as a favorite cartoon or movie, and then pick characters from it that we would all dress up as and go out trick-or-treating — as a group. These days, lots of adults have fun dressing up as group for Halloween, or as a couple. If you’ll be going to a Halloween party (or two), then you’ll probably want to dress up. Finding some unique and interesting group Halloween costumes is one way to make the evening even more exciting for you and your friends. Following are some amazing ideas for one-of-a-kind group Halloween costumes for adults and kids that you can buy (if it’s last-minute)… or make yourself (if you have a little bit of time)! 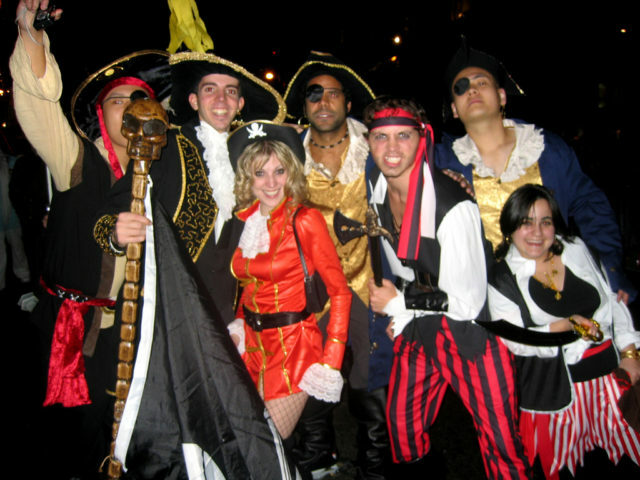 Pirates of the Caribbean is a great group costume idea. Pirates can be particularly fun and give you the opportunity to break out all those funky scarves you’ve got buried in your sock drawer. The cool thing about dressing up as a pirate is nearly everyone has scarves, and gold loop earrings, and a pair of black boots. And whatever you’re missing, there are lots of unique pirate accessories online. This is one of the easier costumes to put together quickly. Make Your Own Pirate Costume — everything you need from head to toe. Coolest DIY Pirate Costumes — see how to make them all yourself. How To Make An Adult Male Pirate Costume — instructions for making costumes for the guys in your group. DIY Pirate Costume Ideas — homemade tips from a group of adults. This has to be my all-time favorite when it comes to group costumes. Check out this DIY Pac Man costume video and you’ll see why. There are tons of superhero Halloween costumes available. 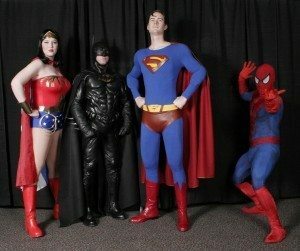 What makes this idea so fun is that if your group includes kids, there are plenty of superhero costumes available for them as well. 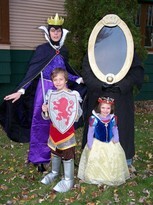 So if you are going as a family, this can be a really great group Halloween costume idea! This year’s top superhero costumes are sure to be: Incredible Hulk, Iron Man, Speed Racer, the Incredibles, and The Joker from Batman. Okay, granted this one is more geared towards the kids rather than adults, but I have seen adults dressed as Barbie as well. 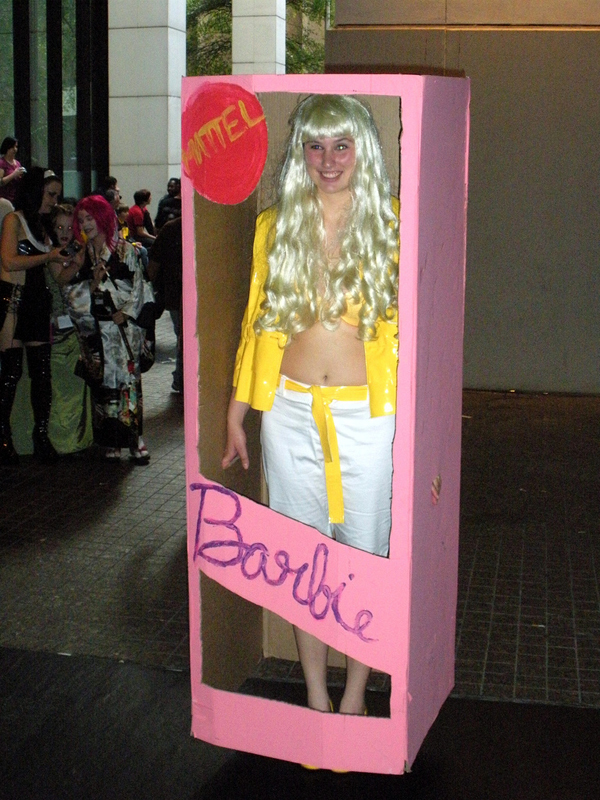 The really exciting thing about dressing up like Barbie and friends is that with all the fantasy themed Barbies out there now (such as Mariposa Barbie, and the Barbies from Mermaidia who are of course mermaids), there are several different costume choices available to you. 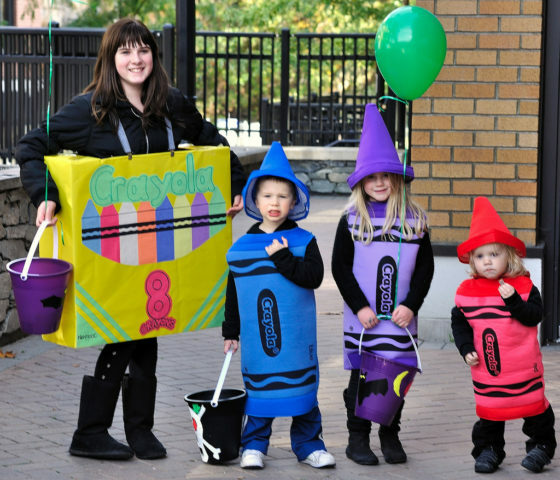 Another fun group Halloween costume idea for children and adults alike is to dress up like a crayon, or a box of crayons. I’ve seen this one done on more than one occasion — usually by adults, but occasionally by children and families. 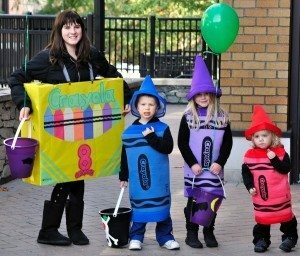 I can see where dressing up like a box of crayons would be great for a large family or group. This can be a truly exciting group Halloween costume choice since the gals can dress as either female gangsters or flappers. 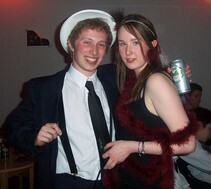 Another nice thing about 1920’s gangster costumes is you can either rent, buy, or make your costume quite inexpensively. but most people choose characters from the popular Disney animated movies such as the Little Mermaid, Cinderella, Sleeping Beauty, Toy Story or the Lion King — to name a few. 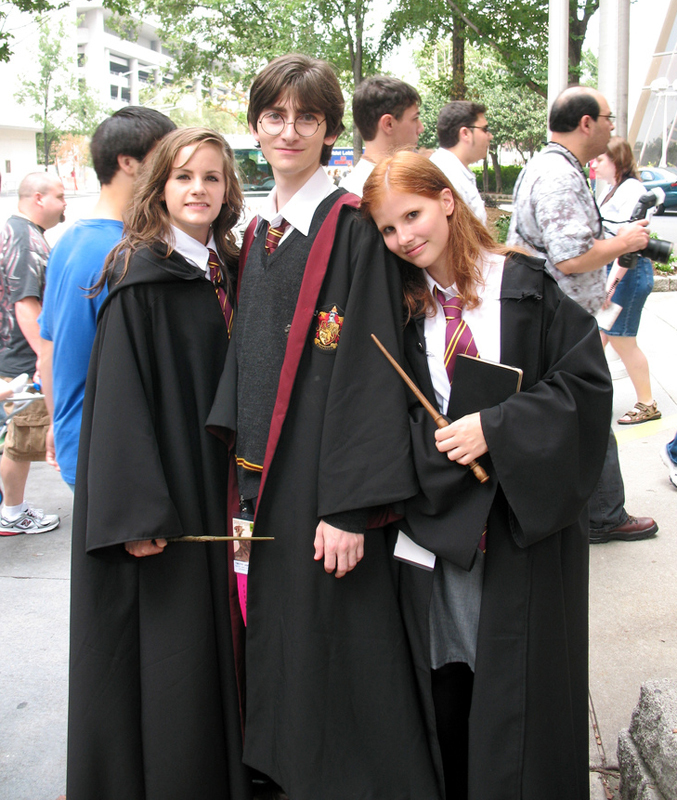 This is a great group Halloween costume idea because there are so many different characters besides the main 3: Harry, Hermione, and Ron. Thinking along these same lines, a creative group could choose any favorite movie and then either make (my favorite) or purchase costumes featuring characters from that movie. 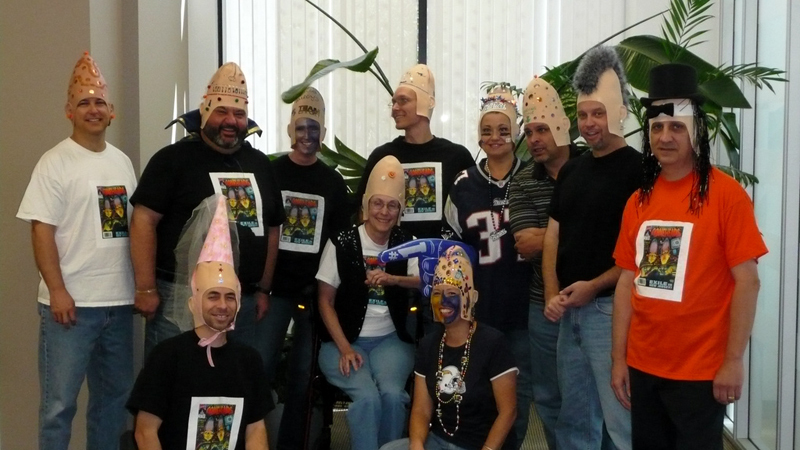 A Coneheads group costume is another one of my personal favorites. If you haven’t seen the Coneheads movie, just one viewing should give you lots of ideas for how to dress up like a Conehead. Of course, there are also all the old Saturday Night Live skits as well — which is where the idea for the movie originally came from. The best part is that Conehead costumes are also relatively easy to make. 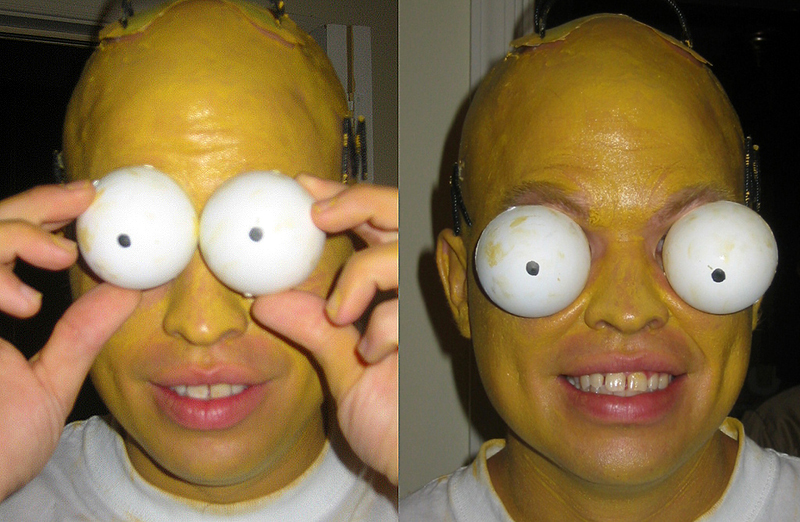 Along these same lines, don’t overlook The Simpsons… all you need is a bald head painted yellow and some Simpson eyeballs! 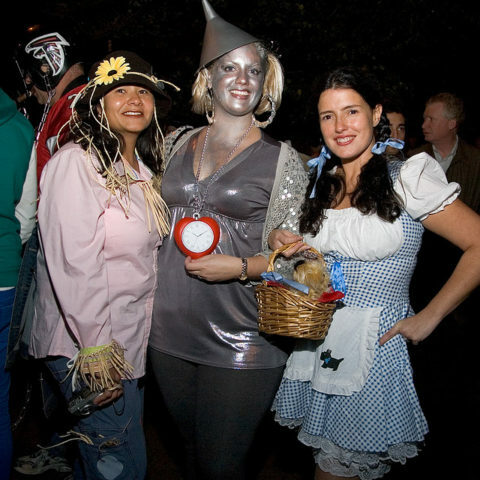 Wizard of Oz costumes are a classic family favorite. There are options for both children and adults. And, like most costumes, you can buy the costume itself, or make your own. There are plenty of Wizard of Oz accessories available online!